Given the increasing clutter in the online world there is huge focus on filters – YouTube shows you the most popular videos, Amazon recommends products for you, Twitter shows trending topics. All to help you engage to avoid being overwhelmed. That’s all good and great but people still thirst for that human interaction. We need some heroes! Someone that spearheads a topic, grabs it and really drives the market. They become the reference point, the thought leader, a position that maybe couldn’t have existing until the internet allowed you to be the best in the world at it. We are here now. What causes do you champion? What are you passionate about? 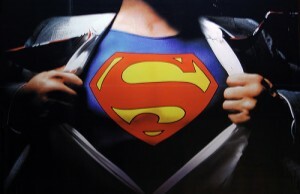 Chances are you’re a superman (or woman!) that someone needs. Now.